Several previous studies have demonstrated improved wound healing associated with natural-based formulations. Therefore, the purpose of this study was to assess the efficacy of a topical formulation containing both a Brazilian micronized propolis extract and a Peucedanum ostruthium leaf extract for the treatment of wounds created by surgical punch in rats. The study was conducted for 14 days and animals were treated as follows: gauze group (G), polyethylene glycol base ointment (Control), AlpaWash (an ointment containing a Brazilian micronized propolis extract and Peucedanum ostruthium leaf extract [Treatment]), and polysporin (one of the most commonly used topical antibiotic ointments, based on bacitracin zinc and polymyxin B sulfate [Reference Standard]). In general, the results demonstrated that ointments, due to occlusiveness and the ability to maintain moisture under the damaged area, offered improvements when compared to lesions without any treatment. Additionally, the presence of phenolic and flavonoid compounds, as well as antioxidants and antimicrobials, offered improved stimulation and could accelerate wound healing. The Control, Treatment, and Reference Standard groups were able to close the lesion, as measured by the wound healing rate determination and follow-up photographs. However, AlpaWash and Polysporin presented some additional benefits- anti-inflammatory activity, measured using myeloperoxidase and histological count, as well as fibroplasia and hydroxyproline production, suggesting that skin with a better quality could be formed following these two treatments. 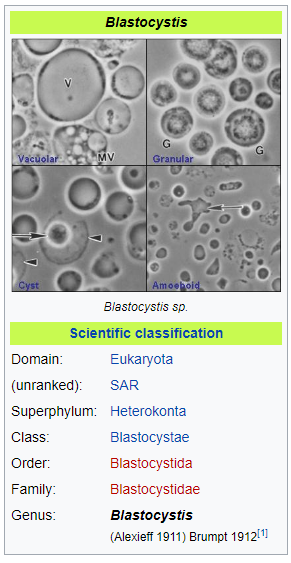 Blastocystis is one of the commonest enteric protozoan parasites worldwide. Despite its controversial clinical significance, frequent association with symptoms has necessitated treatment of cases with persistent symptoms. For long time, metronidzole (MTZ) was considered as a basic drug for blastocystosis treatment, however reports of treatment failure as well as its well-known side effects has promoted the search for more safe and effective alternatives. In vitro antiprotozoal activity of ethanolic extract of Egyptian propolis and a cysteine protease inhibitor, phenyl vinyl sulfone (PVS) on Blastocystis spp. was assessed through challenging with graded concentrations of propolis extract (125, 250, 500 & 1000pg/ml) and PVS (100, 200 and 300 ptg/ml) compared to MTZ (10, 50 and 100 pg/ml) and viable parasites were counted after 24, 48 and 72 hr. of incubation. Molecular subtyling of Blastocystis spp. was done using subtype specific sequence-tagged site (STS) primers. 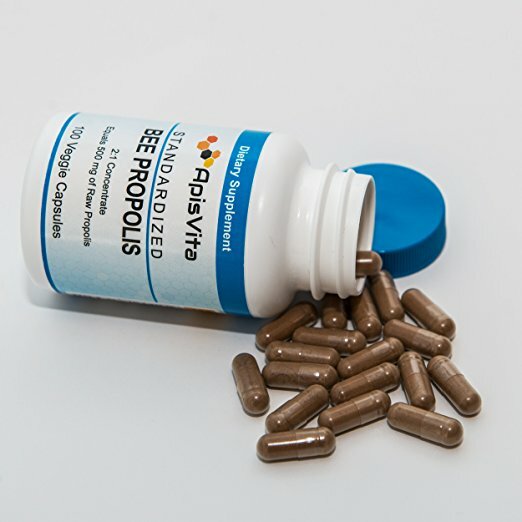 Propolis extract inhibited the growth of Blastocystis spp. in both of the detected subtypes (STI and ST3), which was especially observed in cultures exposed to 500 & 1000 μg/ml through all incuba- tion periods with the later concentration producing comparable results to MTZ. While PVS showed significant parasite count reduction on ST3 isolates, especially with the highest concentration, however the effect on STl isolate was nonsignificant. These findings highlight the potential antiprotozoal activity of propolis extract as a potent natural alternative for MTZ in treatment of blastocystosis. Fish represent a worldwide significant source of animal protein. In order to investigate the prevalence of MRSA in catfish as well as the inhibitory effect of Sidr honey on virulence genes of MRSA, fish were collected from Bahr Elbaker canal at Sharkia Governorate, Egypt. Swab samples were collected under complete aseptic conditions from internal organs (pancreas, liver, kidney and intestine), gills and skin then subjected to bacteriological examination. A total of 70 S. aureus strains were isolated from catfish, out of them 15 (21.42%) strains were identified as MRSA as a first record in Egypt. PCR was used for detection of meca, coa and spa genes in the isolated MRSA strains before and after the exposure to sidr honey. Before exposure to sider honey, all the selected MRSA strains showed positive results for meca, coa and spa genes with specific amplicon size of 310 bp, 430 bp and 226 bp, respectively. 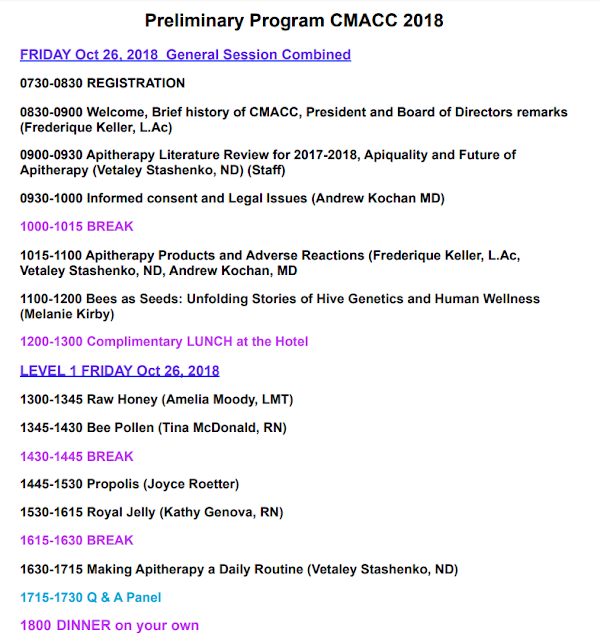 After exposure to sidr honey, MRSA strains showed inhibition of coa and spa genes, but has no effect on meca gene. 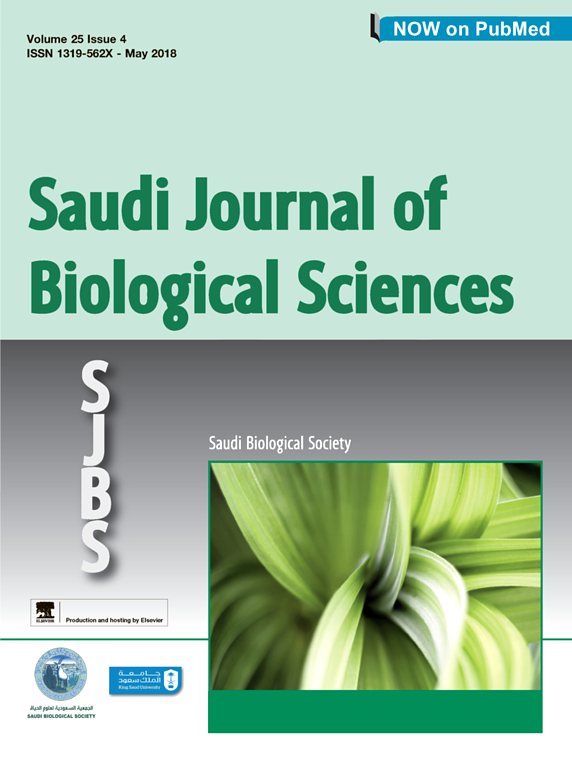 In addition, scanning electron microscopy was used for detection of the morphological characters of MRSA strains before and after treatment with sidr honey. After exposure of MRSA strains to 30% (w/v) Sidr honey for 48 hours, cells surfaces were observable irregular with the appearance of cell debris. In conclusion, MRSA strains could be isolated from fresh water catfish in Egypt which may be attributed to the contamination of water and fish food. Sider honey showed a significant inhibitory effect on the growth of isolated MRSA strains. Moreover, it could inhibit spa and coa genes. SEM is a valuable tool revealing the abnormal morphological changes that take place in MRSA strains after exposure to Sidr honey. Melanoma is a malignant tumor that begins in the melanocyte and has the highest mortality rate among all cutaneous tumors. Chinese propolis (CP) has been shown to have a potent antitumor effect against various cancers. In this study, we uncovered the combined effects of antiproliferation and anti-inflammation of CP on suppressing the progression of human melanoma cell line A375. We evaluated the alterations of protein expression after CP treatment by Western blot. After CP treatment, A375 cells underwent intrinsic apoptosis and cell cycle arrest. Furthermore, we found that CP suppressed inflammation in A375 cells. NLRP1 (NLR family pyrin domain containing 1), confirmed as a proinflammatory protein in melanoma progression, was downregulated significantly by CP, as were the NLRP1-related caspase activation and recruitment domains (CARD) proteins, including caspase-1 and caspase-4. Additionally, decreasing mRNA levels of IL-1α, IL-1β, and IL-18 further proved the negative regulation of CP on the melanoma inflammatory environment. We also discovered that CP induced autophagy in A375 cells. Interestingly, inhibiting autophagy in CP-treated cells diminished its antitumor effect, suggesting that the autophagy was attributed to CP-induced apoptosis. Collectively, CP is a promising candidate for drug development for melanoma therapy. Propolis; a honey-bee hive product, possesses a wide range of pharmacological potentials including anti-bacterial, anti-fungal, anti-protozoal, hepatoprotective, anti-oxidant, anti-inflammatory, anti-viral, anti-cancer and anti-tumor properties. Besides, the addition of ethanolic extract of propolis in the composition of mouthwashes and toothpastes enhances the prevention of microbial infection and is effective in the treatment of gums inflammation. Moreover, the presence of bioflavonoids, arginine, vitamin C, provitamin A, B complex along with some minerals possesses wound healing property and therefore enhances injury cure. Instead of individual component, there may be combined action, which leads propolis to have diverse biological performance. Finally, the development of new propolis compounds from propolis coming from diverse geographical origins is vital in controlling various pathogenic diseases. The current literature review suggests that propolis may be explored further for its potential properties against human pathogen. Due to continuous rise in antibiotic resistance, there is a need for alternative treatment options to reduce the levels of oral pathogens for the maintenance of oral as well as overall health. The aim of this study was to evaluate the in vitro antibacterial potential of tinctures of Spilanthes oleracea and propolis, Nigella seed oil, and an ethanolic extract of black garlic on microorganisms involved in oral diseases. Both the minimum inhibitory concentration assay and the minimum bactericidal/fungicidal concentration assay were used in this study. Inhibition effects against total human salivary bacteria were also determined. Our results show that all of the preparations tested had potent antimicrobial activities. When measured 10 min after exposure, even low concentrations of the propolis tincture were found to have killed more than 99% of salivary bacteria, whereas Spilanthes tincture and black garlic extract killed more than 90% and Nigella seed oil more than 60% of the pathogens. This suggests that all preparations are promising candidates for the use in oral health care products and that all have the potential to control biofilm associated infections. Honeybee caste development is nutritionally regulated by royal jelly (RJ). Major royal jelly protein 1 (MRJP1), the most abundant glycoprotein among soluble royal jelly proteins, plays pivotal roles in honeybee nutrition and larvae development, and exhibits broad pharmacological activities in humans. However, its structure has long remained unknown. Herein, we identify and report a 16-molecule architecture of native MRJP1 oligomer containing four MRJP1, four apisimin, and eight unanticipated 24-methylenecholesterol molecules at 2.65 Å resolution. MRJP1 has a unique six-bladed β-propeller fold with three disulfide bonds, and it interacts with apisimin mainly by hydrophobic interaction. Every four 24-methylenecholesterol molecules are packaged by two MRJP1 and two apisimin molecules. This assembly dimerizes to form an H-shaped MRJP14-apisimin4-24-methylenecholesterol8 complex via apisimin in a conserved and pH-dependent fashion. Our findings offer a structural basis for understanding the pharmacological effects of MRJPs and 24-methylenecholesterol, and provide insights into their unique physiological roles in bees. Atopic dermatitis (AD) is a chronic skin inflammatory disease characterized by recurrent eczema and itching. It is caused by a poorly controlled immune response and damage to the skin barrier. Purified bee venom (BV) is a natural toxin produced by honeybees (Apis mellifera L.), and is well known for its anti‑inflammatory, analgesic and anti‑cancer effects against various types of disease. However, treatment strategies based on anti‑inflammatory properties have not been adequately studied in AD. Thus, the present study examined the progression of AD‑like skin lesions induced by ovalbumin (OVA) and the mechanism of action of BV. BV, administered by intraperitoneal inoculation, was observed to reduce the symptoms of AD, in addition to the serum immunoglobulin E levels, according to dorsal skin thickness and histopathologic analysis. The treatment also inhibited the infiltration of eosinophils and mast cells. These results suggested that it is possible to develop novel AD alternative therapy using BV by effectively suppressing allergic skin inflammation in AD. Alzheimer's disease (AD) is a progressive pathology, where dementia symptoms gradually worsen over a number of years. The hallmarks of AD, such as amyloid β-peptide (Aβ) in senile plaque and neurofibrillary tangles, are strongly intertwined with oxidative stress, which is considered one of the common effectors of the cascade of degenerative events. The endogenous nuclear factor erythroid 2-related factor 2 (Nrf2) is the "master regulator" of the antioxidant response and it is known as an indicator and regulator of oxidative stress. The present study aimed to determine the potential neuroprotective activity of caffeic acid phenethyl ester (CAPE), a polyphenolic compound abundant in honeybee [propolis], against the neurotoxicity of Aβ1-42 oligomers (AβO) in mice. An intracerebroventricular (i.c.v.) injection of AβO into the mouse brain triggered increased reactive oxygen species levels, neurodegeneration, neuroinflammation, and memory impairment. In contrast, the intraperitoneal administration of CAPE (10 mg/kg) after i.c.v. AβO-injection counteracted oxidative stress accompanied by an induction of Nrf2 and heme oxygenase-1 via the modulation of glycogen synthase kinase 3β in the hippocampus of mice. Additionally, CAPE treatment decreased AβO-induced neuronal apoptosis and neuroinflammation, and improved learning and memory, protecting mice against the decline in spatial cognition. Our findings demonstrate that CAPE could potentially be considered as a promising neuroprotective agent against progressive neurodegenerative diseases such as AD. Hypertension is described as increased blood pressure based on changed hemodynamics and associated with an increased oxidative damage to reproductive function. This work is to determine therapeutic and protective effects of apitherapy products (propolis and pollen) on reproductive functions of L-NAME-induced hypertensive male rats. Experimental animals were indiscriminately separated into four groups of seven rats in each group: (I) Control, (II) L-NAME, (III) L-NAME+ propolis and (IV) L-NAME+ pollen. At the end of the experimental applications, the rats were decapitated by anesthesia and biochemical analyzes were performed on the removed testicular tissues. The levels of TOS, NF-κB and MDA in the L-NAME group compared to control have increased (p < 0.05). The levels of these parameters in L-NAME+ propolis and L-NAME+ pollen groups compared to the L-NAME group have decreased (p < 0.05). TAS levels, PON1 and CAT activities were significantly decreased in testis tissue samples in the L-NAME-induced group (p < 0.05). However, these parameters were significantly lower in the L-NAME plus propolis and pollen groups (p < 0.05) compared with rats administered L-NAME alone (p < 0.05). NO level significantly reduced (p < 0.05) in L-NAME group compared with control group. There was no statistically significant changes in the NO level of the L-NAME+ propolis group compared with the L-NAME-treated group (p > 0.05). It has been determined that ethanolic extracts of propolis and pollen, which are natural bee products in the regulation of rising blood pressure. Propolis or pollen is thought to help regulate reproductive function by inhibiting the functioning of inflammatory pathways leading to hypertension. BOFFINS have set up beehives in a hospital garden with the aim of producing “super honey” to fight disease. The hives are surrounded by specific flowers found to have antibacterial qualities. 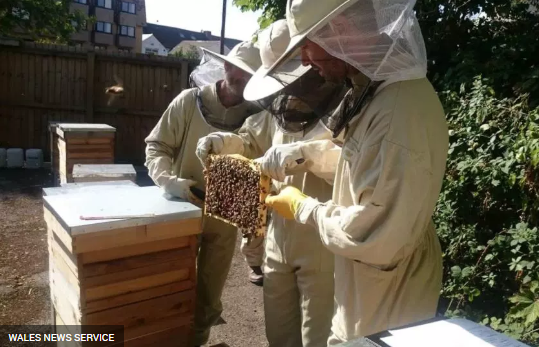 NHS staff have been trained to care for the bees at Llandough Hospital, near Cardiff. Six off-duty workers will don bee hats and veils when they harvest honey from the hives. The Pharmabee project, led by the city university’s Prof Baillie, has identified the plants whose nectar was the source of antibacterial compounds. The protective effect of tualang honey (TH) on neuroinflammation and caspase-3 activity in rat cerebral cortex, cerebellum, and brainstem after kainic acid- (KA-) induced status epilepticus was investigated. Male Sprague-Dawley rats were pretreated orally with TH (1.0 g/kg body weight) five times at 12 h intervals. KA (15 mg/kg body weight) was injected subcutaneously 30 min after last oral treatment. Rats were sacrificed at 2 h, 24 h, and 48 h after KA administration. Neuroinflammation markers and caspase-3 activity were analyzed in different brain regions 2 h, 24 h, and 48 h after KA administration. Administration of KA induced epileptic seizures. KA caused significant (p < 0.05) increase in the level of tumor necrosis factor alpha (TNF-α), interleukin 1 beta (IL-1β), glial fibrillary acidic protein (GFAP), allograft inflammatory factor 1 (AIF-1), and cyclooxygenase-2 (COX-2) and increase in the caspase-3 activity in the rat cerebral cortex, cerebellum, and brainstem at multiple time points. Pretreatment with TH significantly (p < 0.05) reduced the elevation of TNF-α, IL-1β, GFAP, AIF-1, and COX-2 level in those brain regions at multiple time points and attenuated the increased caspase-3 activity in the cerebral cortex. In conclusion, TH reduced neuroinflammation and caspase-3 activity after kainic acid- (KA-) induced status epilepticus. Biomaterials for cartilage repair are still far from clinical requirements, even if several studies recently focused on this topic. In this respect, Nature-derived hydrogels are a promising class of scaffolds for cartilage tissue engineering, mimicking the native cellular microenvironment. However, they frequently lack mechanical features required for cartilage applications and are commonly subjected to infection threat. This work describes the innovative use of Manuka honey as molecular spacer for preparing gellan gum-based composites with intrinsic antibacterial properties and superior compressive Young's modulus in respect of several Nature-derived gels based on chitosan, hyaluronic acid or alginate. The addition of Manuka honey made hydrogels able to inhibit the proliferation of S. aureus and S. epidermidis clinical isolates. Furthermore, no cytotoxic effects were detected on human mesenchymal stem cells seeded on the hydrogels. Moreover, chondrogenesis experiments showed a consistent expression of collagen II and high synthesis of GAGs and proteoglycans, thus indicating the formation of cartilage matrix. Overall, these data suggest that the developed smart composites have a great potential as tools for cartilage tissue engineering. Nanoemulsions are feasible delivery systems of lipophilic compounds, showing potential as edible coatings with enhanced functional properties. The aim of this work was to study the effect of emulsifier type (stearic acid (SA), Tween 80 (T80) or Tween 80/Span 60 (T80/S60)) and emulsification process (homogenization, ultrasound or microfluidization) on nanoemulsion formation based on oxidized corn starch, beeswax (BW) and natural antimicrobials (lauric arginate and natamycin). The response variables were physicochemical properties, rheological behavior, wettability and antimicrobial activity of BW-starch nanoemulsions (BW-SN). The BW-SN emulsified using T80 and microfluidized showed the lowest droplet size (77.6 ± 6.2 nm), a polydispersion index of 0.4 ± 0.0 and whiteness index (WI) of 31.8 ± 0.8. This BW-SN exhibited a more negative ζ-potential: -36 ± 4 mV, and Newtonian flow behavior, indicating great stability. BW-SN antimicrobial activity was not affected by microfluidization nor the presence of T80, showing inhibition of the deteriorative fungi R. stolonifer, C. gloeosporioides and B. cinerea, and the pathogenic bacterium S. Saintpaul. In addition, regardless of emulsifier type and emulsification process, BW-SN applied on the tomato surface exhibited low contact angles (38.5° to 48.6°), resulting in efficient wettability (-7.0 mN/m to -8.9 mN/m). These nanoemulsions may be useful to produce edible coatings to preserve fresh-produce quality and safety. Atopic dermatitis (AD) is identified by an increase in infiltrations of several inflammatory cells including type 2 helper (Th2) lymphocytes. Th2-related chemokines such as thymus and activation-regulated chemokine (TARC/CCL17) and macrophage-derived chemokine (MDC/CCL22), and pro-inflammatory cytokines including interleukin (IL)-1β and IL-6 are considered to play a crucial role in AD. Tumor necrosis factor (TNF)-α- and interferon (IFN)-γ induce the inflammatory condition through production of TARC, MDC, IL-1β and IL-6, and activations of related transcription factors, such as nuclear factor kappa-light-chain-enhancer of activated B cells (NF-κB) and signal transducer and activator of transcription (STAT) in keratinocytes. Apamin, a peptide component of bee venom, has been reported its beneficial activities in various diseases. However, anti-inflammatory effects of apamin on inflammatory condition in keratinocytes have not been explored. Therefore, the present study aimed to demonstrate the anti-inflammatory effect of apamin on TNF-α- and IFN-γ-induced inflammatory condition in keratinocytes. HaCaT was used as human keratinocytes cell line. Cell Counting Kit-8 was performed to measure a cytotoxicity of apamin. The effects of apamin on TNF-α-/IFN-γ-induced inflammatory condition were determined by real-time PCR and Western blot analysis. Further, NF-κB signaling pathways, STAT1, and STAT3 were analyzed by Western blot and immunofluorescence. Apamin ameliorated the inflammatory condition through suppression of Th2-related chemokines and pro-inflammatory cytokines. Further, apamin down-regulated the activations of NF-κB signaling pathways and STATs in HaCaT cells. These results suggest that apamin has therapeutic effect on AD through improvement of inflammatory condition. Propolis has been suggested as a storage medium for avulsed teeth. The aim of this study was to compare the effectiveness of Brazilian propolis with Hank's balanced salt solution and milk in maintaining the viability of human periodontal ligament cells, their osteogenic differentiation potential, and pro‐inflammatory cytokine expression. Cell Counting Kit 8 assays were performed to test human periodontal ligament cell viability in different storage media. The preservative effect on osteogenic differentiation was evaluated using alkaline phosphatase staining and activity assays, Alizarin Red S staining, and western blotting. Quantification of pro‐inflammatory cytokines was performed using real‐time PCR and enzyme‐linked immunosorbent assays. Brazilian propolis at 10 μg/mL was not cytotoxic toward human periodontal ligament cells. The milk group showed the highest cell viability. Brazilian propolis and Hank's balanced salt solution groups showed similar cell viabilities. Alkaline phosphatase staining and activity were similar in all groups. Calcium deposition and mineralization nodule formation were similar in the Brazilian propolis and Hank's balanced salt solution groups but were higher in the milk group. Osteogenic marker gene and protein levels were similar in all groups. The genes and protein expression levels of IL1β, IL6, and IL8 decreased significantly after treatment with Brazilian propolis. TNFα mRNA expression showed no significant difference among the experimental groups. Pro‐inflammatory cytokine levels in the milk group were higher than in the Brazilian propolis and Hank's balanced salt solution groups. Brazilian propolis, Hank's balanced salt solution, and milk maintained the viability of human periodontal ligament cells and preserved their osteogenic differentiation ability similarly. However, Brazilian propolis showed a better anti‐inflammatory effect. Royal jelly, or milky-white "bee milk," has long been known for its mysterious growth effects on future queen honey bees, while also hailed by some as an anti-aging, cholesterol-lowering super supplement. But how this "queen magic" actually happens, and its potential benefit to humans, has remained a mystery to scientists. Tapping into a fresh source from neighboring beehives at Yale's West Campus, researchers at the Yale Cancer Biology Institute are now exploring how royal jelly might affect cell signaling and growth in cancer cells. "The exact structure of the key protein in royal jelly remains unknown. But it is expected to act through the epidermal growth factor (or EGF) receptor – the main pathway targeted by cancer therapeutics today," explained Daryl Klein, Assistant Professor of Pharmacology at Yale School of Medicine. Klein's lab studies cell signaling, and how these signals can be "tuned" in different ways. Researchers have conducted a range of studies on natural approaches to treating H. pylori infections. Caffeic acid phenethyl ester (CAPE), a bioactive component extracted from propolis, is widely studied due to its anti-cancer effect. Nasopharyngeal carcinoma (NPC) is distinct from other head and neck carcinomas and has a high risk of distant metastases. N-myc downstream regulated gene 1 (NDRG1) is demonstrated as a tumor suppressor gene in several cancers. Our result showed that CAPE treatment could repress NPC cell growth, through induction of S phase cell cycle arrest, and invasion. 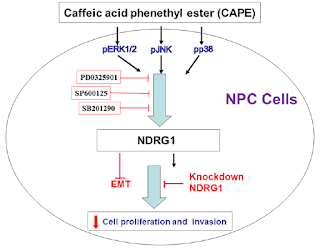 CAPE treatment stimulated NDRG1 expression in NPC cells. NDRG1 knockdown increased NPC cell proliferation and invasion and rendered NPC cells less responsive to CAPE growth-inhibiting effect, indicating CAPE repressed NPC cell growth partly through NDRG1indcution. CAPE treatment increased phosphorylation of ERK, JNK, and p38 in a dose- and time-dependent manner. 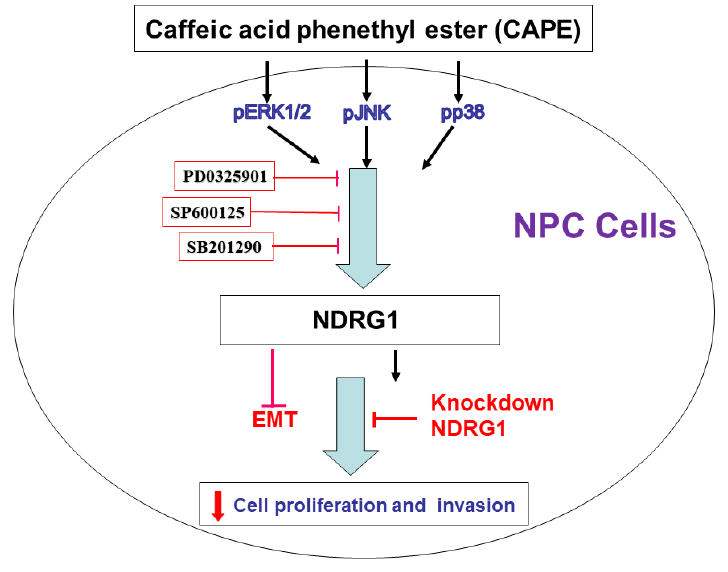 Pre-treatments by inhibitors of ERK (PD0325901), JNK (SP600125), or p38 (SB201290), respectively, all could partly inhibit the CAPE effect on NDRG1 induction in NPC cells. Further, STAT3 activity was also repressed by CAPE in NPC cells. Quality control of propolis being a complex mixture of compounds that are very difficult to analyze and standardize is certainly challenging. Shown on the example of 35 Egyptian propolis samples, a strategy for an improved quality control was demonstrated in which efficacy-directed fingerprint analysis of high-performance thin-layer chromatography (HPTLC) fingerprints were evaluated in combination with Near Infra-Red spectrometry (NIRS) to realize precise discrimination and high quality assessment of chemical and effective consistency of propolis samples that are collected from various geographical locations in Egypt. The fingerprints obtained after derivatization and fluorescence detection (FLD) at λ 366 nm were analyzed by using multivariate data analysis and data were used to identify nine marker ingredients of the different propolis samples. These markers were then quantified by a new validated HPTLC method and an attempt to classify the samples by using a targeted approach was implemented. All investigated propolis samples were initially divided into two types in the untargeted and targeted HPTLC image multivariate analysis. The antimicrobial activities of propolis samples were then evaluated and the results showed that there was significant variation in the biological activities of the different samples. The quantitative data of marker compounds as well as the samples bioactivity results were then subjected to partial least squares regression (PLS-R) analysis which revealed that chrysin, galangin‑5‑O‑methylether, pinostrobin, and islapinin were the main bioactive markers. 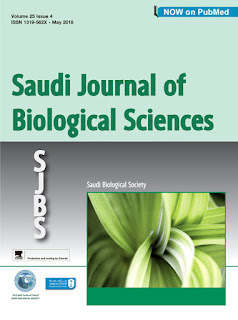 Based on the efficacy-associated marker ingredients, pretreated spectral patterns of NIRS were selected as a complementary evaluation technique directed to the comprehensive efficacy-directed discrimination of the different Egyptian propolis samples which could successfully classify the propolis samples tested into three different types. Hierarchical cluster analysis and orthogonal projection to latent structures discriminant analysis (OPLS-DA) were applied to the quantitative results from the efficacy-associated markers only. From this systematic method, the 35 samples were subsequently divided into three types; orange, green and blue, displaying a more intricate division than OPLS-DA which is based only on the untargeted HPTLC analysis or the full NIR spectral data. This study initiated the research on the Egyptian propolis and confirmed the existence of three different types of Egyptian propolis, the blue, green and orange types. The study also emphasizes how it is critical to implement the fingerprint- efficacy relationship analysis in finding out the main health-relevant biomarkers for the quality assessment especially for samples displaying delicate differences in their chemical composition and bioactivity. Human peripheral blood mononuclear cells were isolated for osteoclast precursors and cultured in the presence or absence of various non‐toxic concentrations of propolis extract, as determined by the alamarBlue® assay, during in vitro induction of osteoclastogenesis. Osteoclast formation was examined by tartrate‐resistant acid phosphatase staining, actin ring formation, and real‐time polymerase chain reaction. The resorption pit assay was performed to determine osteoclast function. Non‐toxic concentrations of propolis extract suppressed osteoclast formation by significantly decreasing the percentages of tartrate‐resistant acid phosphatase‐positive multinuclear cells and the ratios of cells with F‐actin ring formation (P < .01) in a dose‐dependent fashion. Expression of several osteoclast‐specific genes was significantly downregulated by propolis in a dose‐dependent manner (P < .05). The percentages of resorption areas on dentin slices were significantly decreased by propolis (P < .05). Thai propolis can inhibit human osteoclast formation and function, which may be beneficial for prevention of root resorption following replantation of avulsed teeth. Major neurocognitive disorder (MCD) is an acquired progressive decline in cognitive abilities that causes a drop in specific acquired performance compared to former performances. 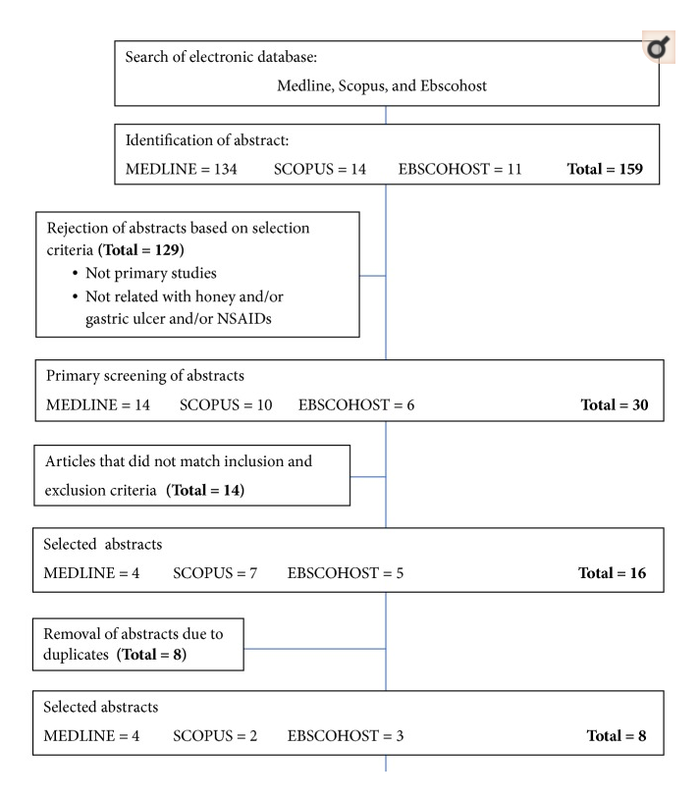 We tried to investigate the efficacy of herbal combination of sedge, saffron, and Astragalus honey on cognitive and depression score of patients with MCD. It was a randomized double-blind clinical trial conducted on sixty patients with MCD, who referred to the geriatric psychiatry clinic of Isfahan University of Medical Sciences in Iran. All the study participants had been using anti-MCD medications. Participants were randomized to receive a combination of sedge, saffron, and Astragalus honey in case group (n = 30) or placebo group for 8 weeks other than anti-MCD medications. Cognitive and depression scores were assessed using Addenbrook's Cognitive Scale and Geriatric Depression Scale, respectively, before intervention and at the 1st and 2nd months after intervention. The ANCOVA repeated-measure test was used to analyze the data using SPSS 20 software. The Addenbrook's Cognitive Test score was 32.2 ± 26.5 in intervention and 22.1 ± 15.1 in control group before intervention (P = 0.074) and 38.8 ± 27.7 in intervention group and 22.6 ± 14.1 in control group in control group 1 month after intervention (P = 0.007). In addition, Geriatric Depression Scale score was 14.6 ± 7.9 in intervention group and 14.5 ± 6.9 in control group before intervention (P = 0.945) and 12.9 ± 6.9 in intervention and 14.3 ± 7.1 in control group 1 month after intervention (P = 0.465) and 12.2 ± 6.5 in intervention group and 14.4 ± 7.1 in control group 2 month after intervention (P = 0.224). 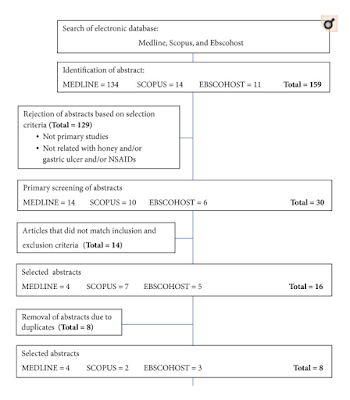 Our findings suggest that adding the herbal combination of sedge, saffron, and Astragalus honey to the current protocols of treatment of MCD patients could be useful in the improvement of cognitive and depression score of these patients. Metabolic syndrome (MetS) is a cluster of diseases comprising of obesity, diabetes mellitus, dyslipidemia, and hypertension. There are numerous pre-clinical as well as human studies reporting the protective effects of honey against MetS. Honey is a nutritional food low in glycemic index. Honey intake reduces blood sugar levels and prevents excessive weight gain. It also improves lipid metabolism by reducing total cholesterol (TC), triglyceride (TG), low-density lipoprotein (LDL) and increasing high-density lipoprotein (HDL), which leads to decreased risk of atherogenesis. In addition, honey enhances insulin sensitivity that further stabilizes blood glucose levels and protects the pancreas from overstimulation brought on by insulin resistance. Furthermore, antioxidative properties of honey help in reducing oxidative stress, which is one of the central mechanisms in MetS. Lastly, honey protects the vasculature from endothelial dysfunction and remodelling. 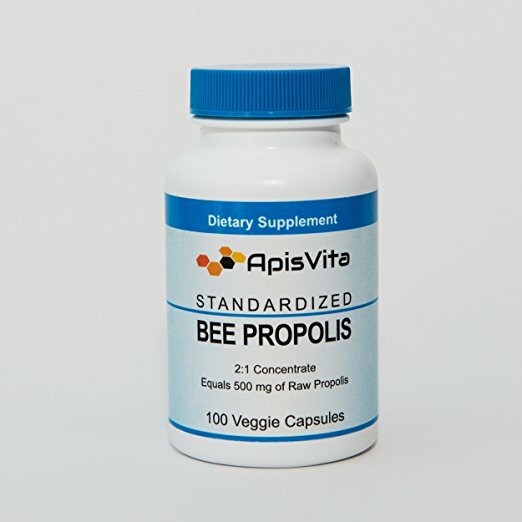 • Propolis represents a promising interfere molecule in the main virulence of C. neoformans. • Suppression of phenotypes and genes associated with main virulence factors was noticed in propolis-treated C. neoformans. • Anti-virulence approaches as an alternative way for cryptococcosis treatment. The present study was conducted to investigate the effects of a natural product from honeybees, named propolis, against Cryptococcus neoformans and its effect in the expression of putative virulence factors, such as capsular polysaccharides, melanin production and urease enzyme. Ethanol extract propolis (EEP) was first tested for its anti-cryptococcal activity and explored its impact on virulence factors in both phenotypes and enzyme activities. Moreover, the cryptococcal virulence genes were investigated using real time RT-PCR. The MIC value of EEP, 1 mg ml−1, displayed potent inhibition of C. neoformans cell viability. Of note is the high efficacy of sub-MIC concentrations (ranging from 0.5 to 0.125 mg ml−1) in decreasing the production of capsule, melanin, as well as laccase and urease enzyme activities. Importantly, EEP exhibited statistically decrease in the expression of gene-encoded virulence factors. In conclusion, EEP mediates C. neoformans growth inhibition and virulence factors by reducing the gene-encoding virulence-associated proteins and, thereby, disrupting the morphologic presence and attenuating their virulence. This study introduced EEP as regards anti-cryptococcal virulence factors activities; therefore, EEP would provide alternative ways of controlling the pathogenicity.